Dr. Norris has been with the San Francisco Shoulder, Elbow, and Hand Clinic since 1978. He has been an influential member of the San Francisco Bay Area medical community, as well as the national and international shoulder and elbow reconstructive communities since the 1970s. He is a founding member of the American Shoulder and Elbow Surgeons (ASES), and served as the organization’s president in 2001. 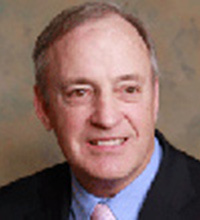 Dr. Norris has served on the Board of Directors for the Journal of Shoulder and Elbow Surgery. He is the co-director for the San Francisco Shoulder, Elbow & Hand Clinic Fellowship, through which he trains two orthopaedic surgeons in surgery of the shoulder each year. He has also published numerous books and articles and teaches instructional courses throughout the world.